After snapping ties with the Congress in the run up to the October 15 Maharashtra polls, the Sharad Pawar-led Nationalist Congress Party has decided to support Congress rebel Vilas Patil Undalkar against former chief minister Prithviraj Chavan from the Karad South assembly constituency. The NCP has withdrawn the name of its candidate Rajendra Yadav from the constituency stating that it will back Undalkar, who is a seven-time MLA. NCP leader Ajit Pawar told reporters that Undalkar was a senior legislator and his party would support him. "The NCP is also supporting Ganpatrao Deshmukh, the seniormost MLA in the outgoing legislative assembly from Sangole," he said. To a question on whether he will work to defeat Chavan in Karad South, where the former CM is fighting an election after 15 years, Pawar said his party had put up candidates in the elections to defeat rivals. On whether he would campaign against Chavan, Pawar said he would go if Undalkar, popularly known as kaka, calls him (for canvassing). "You know I always support kaka," Pawar said in an oblique reference to his own uncle Sharad Pawar and also to the speculations that he is at loggerheads with Pawar senior. 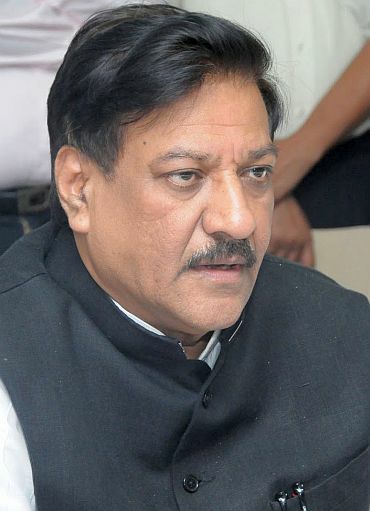 The former Maharashtra deputy chief minister also went on to add that if he campaigns in Karad South, he would tell the voters that Chavan is already an MLC. "So if you vote for Kaka, you will have two legislators in one constituency and if you don't vote for Kaka then you would get only one legislator," he said.